Half of each C& S written test contains questions from the general knowledge blueprint. The general knowledge blueprint is a subset of the CCIE R& S blueprint. The CCIE C& S general knowledge blueprint includes the following Cisco device operation, general networking theory, bridging and LAN switching, WAN media, IP theory, IP routing protocols, and performance management. This book helps prepare you for the general knowledge portion of the CCIE C& S exam. The CCIE C& S general knowledge blueprint is described in the next section. The goal of Part I of this sample lab is to ensure that you provide a working IP network solution quickly and adhere to the guidelines given. You should take no longer than 4 hours to complete Part I. Starting in October 2004, the CCIE Security lab exam has some of the basic Frame Relay and routing protocols already configured, to allow candidates more time on security features. The following is a list of technology topics now preconfigured for the lab candidate This section is preserved, however, to allow readers to appreciate the level of expertise required in this most difficult CCIE certification track. Passing the qualification examination is the easier part of the CCIE exam journey. To pass the lab exam, your life needs to change dramatically, and you need to study on routers full time for at least three to six months. The good news is that the format of the lab examination has changed from two full days to one day only. You are no longer required to troubleshoot a network (regarded as the true method to test a CCIE's ability to restore a network back to full IP connectivity) you are now required to configure only a set number of features. http tools.cisco.com CCIE Schedule Lab jsp login.jsp Ensure that you practice with and understand these devices. Practice configuring almost every IOS feature, and fully understand what each IOS command actually enables, instead of relying on limited experience with certain commands. Anyone can configure a Cisco router, but the ability to understand the full consequence of a command is crucial to passing the CCIE Lab Examination. Henry Benjamin, CCIE 4695 1-58720-054-6 Available Now CCNP Practical Studies Routing provides hands-on preparation for the CCNP Routing exam. This book includes lab exercises and helps CCNP candidates and newly minted CCNPs apply their newly gained theoretical knowledge into working experience. Use this book within a live network or home lab, remote access labs, and some software simulated network environments. Tim Boyles and Dave Hucaby, CCIE 4594 Cisco CCNP Switching Exam Certification Guide This book is designed to provide information about the Cisco CCNP Switching Exam 640-504. Every effort has been made to make this book as complete and as accurate as possible, but no warranty or fitness is implied. The information is provided on an as is basis. The author, Cisco Press, and Cisco Systems, Inc. shall have neither liability nor responsibility to any person or entity with respect to any loss or damages arising from the information contained in this book or from the use of the discs or programs that may accompany it. Kennedy Clark, CCIE Kevin Hamilton, CCIE 1-57870-094-9 AVAILABLE NOW Alvaro Retana, CCIE Don Slice, CCIE and Russ White, CCIE 1-57870-097-3 AVAILABLE NOW Khalid Raza, CCIE and Mark Turner 1-57870-084-1 AVAILABLE NOW CCIE Professional Development Routing TCP IP, Volume I Jeff Doyle, CCIE 1-57870-041-8 AVAILABLE NOW This book takes the reader from a basic understanding of routers and routing protocols through a detailed examination of each of the IP interior routing protocols. Learn techniques for designing networks that maximize the efficiency of the protocol being used. Exercises and review questions provide core study for the CCIE Routing and Switching exam. Cisco recommends that you take two courses before you take the CCNA exam. The first, Internetworking Technology Multimedia (ITM), is a CD-based course that you can order directly from Cisco currently for 50. This course covers many of the protocol basics needed for CCNA. So, if you have taken or will take ICND, that's the best way to prepare for the CCNA exam. Reading the ITM CD will be helpful as well. But what if you took one of the older courses Or, what if you took the Cisco Networking Academy curriculum Or, what if you simply choose not to spend the money on an introductory course The final section of this chapter suggests a strategy for people from each background. First, an outline of the ICND course, shown in Table 1-3, should be helpful. Remember, although the CCNA exam is not a test on the ICND course, ICND is the course that most closely matches the CCNA topics. The CCIE Security certification requires a candidate to pass two exams An 8-hour lab exam. The passing score is set at 80 percent. Historically, the lab exam was a full 2-day lab that changed October 1, 2001. All CCIE lab exam versions are monitored closely and adapted where necessary to conform to the CCIE program standards, which are not publicly available. This book contains supplemental material intended to help you prepare for the lab exam, but does not focus on it. CCIE Professional Development Large-Scale IP Network Solutions is a core preparation textbook for the CCIE Routing and Switching exam track. In addition to CCIE preparation, this book provides solutions for network engineers as IP networks grow and become more complex. The book discusses all major IP protocols in depth, including RIP, IGRP, EIGRP, OSPF, IS-IS, and BGP. It evaluates the strengths and weaknesses of each protocol, helping you to choose the right ones for your environments. Special sections address scalability, migration planning, network management, and security for large-scale networks. Router configuration examples, network case studies, and sample scenarios all help you put the information presented in the book to use. Why don't you have the certification The prerequisite for the CCNP certification is to be certified as a CCNA, so you really should pursue your CCNA certification before tackling the CCNP certification. Beginning with the Remote Access exam gives you a skewed view of what is needed for the Cisco Professional certification track. This chapter covers the following topics that you need to master as a CCNP Determining Site Requirements The three sites described are central office, branch office, and the small office home office (SOHO) or remote office (RO). The successful CCNP candidate should be aware of these sites and their associated requirements. If you have not taken the ISCW course, the quizzes and scenarios in this book should give you a good idea of whether you are sufficiently prepared to skip the class and test out based on your experience. On the flip side, however, you should know that although having the knowledge from just a classroom setting can be enough to pass the exam, some questions assume a CCNA level of internetworking knowledge. At this stage, you have decided to pursue CCIE Security certification, which requires you to pass a two-hour, 100-question, written qualification exam ( 350-018) and a one-day lab. NOTE In addition to the CCIE Security certification, there are CCIE certifications for Routing and Switching and for Communications and Services. For information on these other CCIE certifications, see level_home.html. The written test is designed to be difficult so that potential CCIE candidates are fully prepared and aware of the difficulty level of the lab. The Cisco CCIE certification website at learning_certification_level_home.html contains further details about all the CCIE certification paths and exams, and information on possible new tracks when Cisco decides to release them to the public. Cisco provides a wide variety of CCNA wireless preparation tools at a Cisco Systems website called the Cisco Learning Network. The Cisco Learning Network includes Quick Learning Modules, interviews with Cisco's Portfolio Manager for Wireless Certifications, documents that give you a sneak peek of what's included in the Instructor-Led Training Course, and blogs and discussion forums to help you on your way. To use the Cisco Learning Network, you do not need a registered login at http www. cisco.com, but you can register as a member of the learning network. 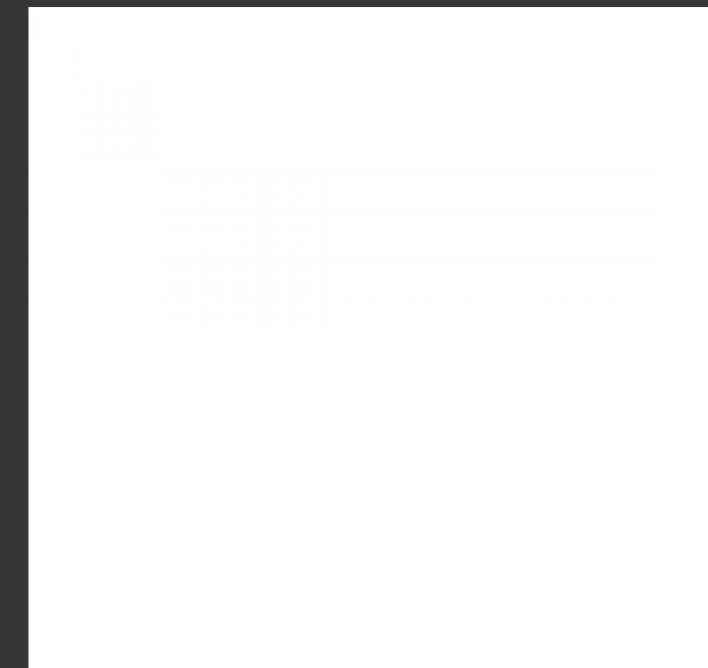 This gives you access to additional content. To register, simply go to https cisco.hosted.jivesoftware.com create-account.jspa and supply some information. (You do not need to work for Cisco or one of its Partners to get a login.) After you have registered, proceed to the Certifications area, and look for the link to the CCNA Wireless pages. Professional level recognition in Cisco Certified Security Professional Cisco Certified Security Professional Cisco Certified Security Professional Recommended Training Through Cisco Learning Partners The figure above represents the Cisco Certified Security Professional (CCSP) certification path. The first step with any serious undertaking is to take a hard, honest assessment of your current skills. Know your strengths and acknowledge your weaknesses. Cisco has specifically designed the CCIE practical exam to weed out candidates with little hands-on or field experience. When you take your personal assessment, be very honest with past experience. This will help you identify the areas that you need to focus on. For instance, many people (unless they have worked with SNA) have little field experience in DLSw. Modeling DLSw in the lab will give you the valuable experience that you need for the practical exam. CCIE - Security I A CCIE - Security I A Recommended Training Through Cisco Learning Partners You are encouraged to join the Cisco Certification Community, a discussion forum open to anyone holding a valid Cisco Career Certification (such as Cisco CCIE , CCNA , CCDA , CCNP , CCDP , CCIP , CCVP , or CCSP ). It provides a gathering place for Cisco certified professionals to share questions, suggestions, and information about Cisco Career Certification programs and other certification-related topics. For more information, visit www.cisco.com go certifications. 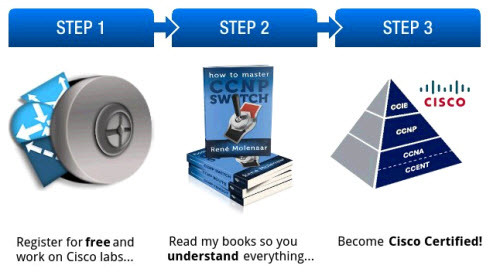 The first goal for this book came at the request of the Cisco Career Certifications team they asked that we build a book that didn't just help you pass a test, but also for a book that helped you really understand the concepts and implementation details. (Because Cisco Press is the only Cisco authorized publisher, we tend to listen to Cisco ) A second goal was to make the content of the book the most comprehensive coverage of CCNA-related topics available, but without a lot of coverage of topics not on the exam. The third and ultimate goal is to get you from where you are today to the point where you can confidently pass the CCNA exam. So, all the book features, which are outlined in the Introduction, are geared toward helping you discover what CCNA topics you do know well, what CCNA topics you don't know well, and what information and tools you need to fill in the gaps. The Cisco Certified Security Professional (CCSP) certification is the newest midlevel certification from Cisco Systems. This certification is on a par with CCNP and CCDP. The aim of this certification is to provide professional-level recognition to network engineers in the design and implementation of Cisco secure networks. This certification provides validation of knowledge and skills in key areas of security, including firewalls, intrusion detection, VPNs, identity, and security management. So, what can be said about the content of the exams First, Cisco posts exam topics for each exam. This official posting is the basis for what Cisco intends to put on the exams, so you should pay particularly close attention to this list. Also, the breadth and depth of topics on the exams tend to match the Cisco Authorized courses with which they are associated, so it is useful to know the outlines for those courses. Finally, Cisco designs the Cisco Networking Academy Program (CNAP) course materials with CCNA in mind. Looking at all these sources can help give you insight into CCNA. Cisco recommends that you take two courses before you take the CCNA exam. The first, CCNA Basics (CCNAB), is a Web-based introductory course that you can order directly from most any learning partner, my company included. This course covers the basic protocol information needed for CCNA, with an emphasis on the OSI reference model. So, if you have taken or will take the ICND, that's the best way to prepare for the CCNA exam. But what if you took the Cisco Networking Academy curriculum Or what if you simply choose not to spend the money on an introductory course The final section of this chapter suggests a strategy for people from each background. First, an outline of the ICND course, shown in Table 1-6, should be helpful. Remember, although the CCNA exam is not a test on the ICND course, the ICND is the course that most closely matches the CCNA topics. Carefully consider the exam topics Cisco has posted on its website as you study, particularly for clues to how deeply you should know each topic. Beyond that, you cannot go wrong by developing a broader knowledge of the subject matter. You can do that by reading and studying the topics presented in this book. Remember that it is in your best interest to become proficient in each of the CCNP subjects. When it is time to use what you have learned, being well rounded counts more than being well tested. The three CCIE certifications are as follows CCIE Routing and Switching (CCIE R& S) CCIE Communications and Services (CCIE C& S) CCIE Security This book prepares you for the written portion of the CCIE R& S exam and the general networking topics of the written portion of the CCIE C& S exam. CCIE R& S The CCIE R& S certification is the traditional CCIE certification that involves routing and LAN WAN switching. The CCIE candidate must pass a two-hour written qualification test and a hands-on one-day lab test to become a CCIE. NOTE Because of recent changes to the CCIE exam, the candidate is not required to configure IP addressing. However, the subject is presented here to ensure that potential CCIE candidates have a good understanding of IP address spaces and subnetting. No time is projected for this section. Every candidate working toward the CCIE exam has one goal Passing the CCIE lab exam and getting a CCIE number. The answer to get there is simple practice, practice, practice. As someone said, Practice makes perfect, but the problem is, practice what Where can you get practice labs and scenarios Most people are confident in technologies as standalone. For example, someone could be expert in firewalls but wouldn't know what can go wrong if BGP runs through the firewall. The CCIE exam is spread on wide syllabi and includes a range of technologiesall integrated, making a complex setup. The challenge is to work toward building this complex network from scratch to perfection in 8 hours. Keeping this challenge in mind, this book was written to assist candidates by providing close to real CCIE Lab exam scenarios with a high level of complexity and integrating all technologies possibly tested. The real CCIE Lab does not require you to do any cabling or IP addressing. Before discussing the detailed configuration of the Cisco 3550, it's necessary to review some important technologies. The following sections briefly review VLANs, VTP, VLAN trunking, spanning-tree 802.1d, and port autonegotiation. If you have previously read CCIE Practical Studies,Volume I (CCIE PSV1), you might want to glance only at this section, because it is intended as a review. For a more comprehensive explanation of these and other Ethernet switching principals, refer to CCIE PSV1. Aswitch virtual interface (SVI) is a logical interface that ties Layer 3 functionality, such as IP inform VLAN. 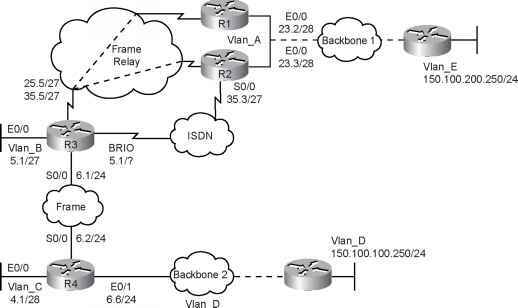 The SVI, in turn, can be used for inter-VLAN routing, to fallback-bridge nonroutable protoco VLANs, and to represent the VLAN to a routing domain. By default, an SVI is created for VLAN 1 foi management. If you are familiar with the Cisco 2900XL 3500XL series switches from CCIE PSV1, a much like the interface VLAN 1 used for management. Unlike the previous switches, you can conf SVIs and a routing protocol to provide connectivity between the VLANs. To configure an SVI, aside single default, you must have the EMI software image installed on the switch. No ip domain-lookup ip domain-name cisco.com ip host CCIE 131.108.1.1 ip host Router3 131.108.1.3 ip host Router2 131.108.1.2 ip host Router1 131.108.1.1 ip name-server 131.108.255.1 ip name-server 131.108.255.2 interface Ethernet0 0 ip address 131.108.1.1 255.255.255.0 c. The administrator could also type CCIE to reach the same IP address (131.108.1.1). Rip inside passive version 2 authentication md5 ccie 1 rip inside default version 2 authentication md5 ccie 1 route outside 0.0.0.0 0.0.0.0 9.1.1.2 route inside 144.254.0.0 255.255.0.0 144.254.1.1 The MD5 password is set to ccie. The second configuration line supplies a default RIP route to R1. The final two commands enable static routes for the internal network and the Internet through 144.254.1.1 and 9.1.1.2, respectively. Example 8-33 configures a key chain named cisco, and the MD5 password is ccie. RIP is enabled on the Ethernet0 0 interface connecting to the inside interface on the PIX Firewall. Hostname R1 key chain cisco key 1 key-string ccie interface Ethernet0 0 ip rip authentication mode md5 ip rip authentication key-chain cisco More PIX tasks appear later in this CCIE Security self-study lab. Cisco Secure can run on Windows NT 2000 and UNIX platforms. The latest CCIE Security examination no longer requires a candidate to be proficient in the UNIX version. Some details are left in this guide for completeness so that in the real world you may have the full story from Cisco. NOTE Cisco Secure topics are tested in the CCIE Security lab exam (particularly Cisco Secure for Windows 2000 Server). The written exam does not require you to have a detailed understanding of this application. Chapter 8, CCIE Security Self-Study Lab, contains an excellent example of how to configure Cisco Secure ACS for Windows NT in a real lab scenario and hence it is not covered in depth in this chapter. Examining the route table of a downstream OSPF router, such as clanton, you can see the effects o metric-tyide type-1 c omma nd. 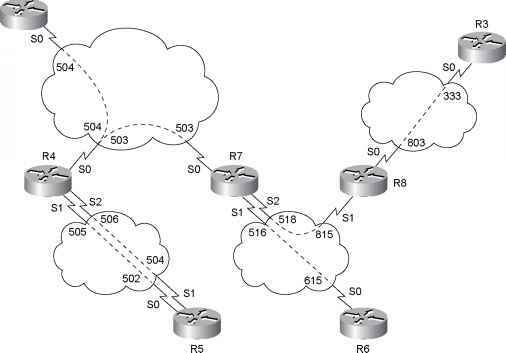 Notlce in EExam ule 20-6 tuat mhe 1772.16.2.0 2-4, 192.168.10.0 24, a laa.16.l6 .4 30 rolrtes are OSPF externa tyee 1 routes. Normally, or by defaul t, the route would I external type 2 route s. For mone infor Siation on the different li nk-state advertis ement (LSA) types use, refer to CCIE Practical Studies,Volume I. You will learn more about the various set commands upcoming section. Example 2-7 lists the forwarding table of the clanton router. Username CCIE password CCIE sgbp group CCIE sgbp member AS2 1.1.1.2 sgbp member AS3 1.1.1.3 sgbp member AS4 1.1.1.4 username CCIE password CCIE Defines the username and password used to authenticate SGBP members. If the password is wrong, an error such as the following is presented on the console sgbp group CCIE Defines a named stack group and makes this router a member of that stack group. Use the sgbp group command in global configuration mode. 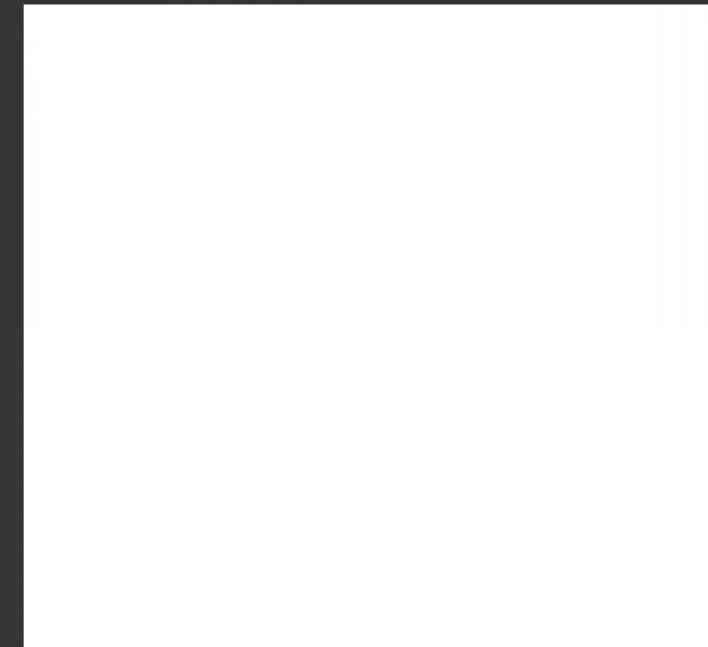 To remove the definition, use the no form of this command. The Cisco Catalyst 6500 Series Switch is the Cisco frontline router and switch. Although not yet used in the CCIE Security lab exam, the Catalyst 6500 is covered in the written exam. 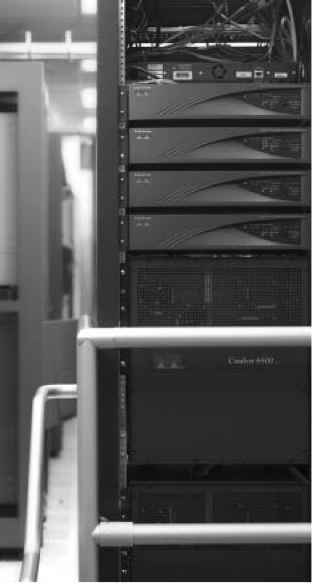 The Catalyst 6500 security features are very enhanced and widely deployed across the globe. This section covers the Open System Interconnection (OSI) seven-layer reference model and common examples of each Individual OSI layer. CCIE candidates must fully understand and appreciate the OSI model, because almost every routed protocol in use today is based on its architecture. The OSI model was developed by a standards body called the International Organization for Standardization (ISO) to provide software developers with a standard architecture to develop protocols (such as IP). For example, the OSI model allows a PC to communicate with a UNIX device. MTDP peers with a TCP session and exchanges any new source active (TA) messages with all other peers. The commands listed are the minimum necessary to make MTDP operational. This minimum is listed here not to belittle the technology but because this theory is commonly oriented toward service providers ano not toward iypical enterosi ses. This topic, ho wever, has come under iucreasing scrutiny to those preparing for the CCIE Routing and Twitching lab. 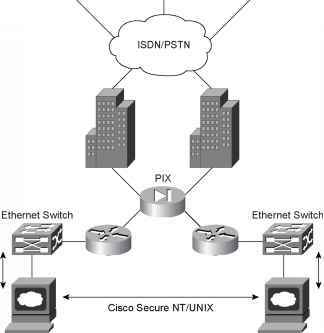 In any security exam, you can be sure that the PIX will be a core device (only one PIX Firewall in the real CCIE exam), so the next few question highlight the areas of the PIX you should be proficient with to ensure that you are ready for the many scenarios that you might be asked to configure. The next section concentrates on a sample PIX topology to guide you in areas you should concentrate on in your study preparation. The scenario at the end of this chapter details a typical attack scenario and how to decipher the details provided. This is the best method to demonstrate the capabilities of the IDS sensors, and the exam performs the same testing procedures on candidates. CCIE Security candidates can expect to be given similar scenarios and asked to answer questions based on the information provided. Test the configuration using an appl i cation. To do this, make voice calls between the Chocolate and Latte routers. To configure VoIP on the Chocolate and Latte routers, create dial peers, add destination patterns and an IP address or physical port, and then dial from the phones. (For more information on VoIP configuration, refer to CCIE Practical Studies,Volume I. )Example 8-69 shows the voice configuration for the Chocolate router, andExample 8-70 shows the voice configuration for the Latte router. You can safely download your risk free copy of Study Material For Cisco Ccna Ccnp And Ccie Students from the special discount link below.